Reg Mullett riding Mount 7 from the summit to valley bottom. There was beer at the bottom, so we rode fast. 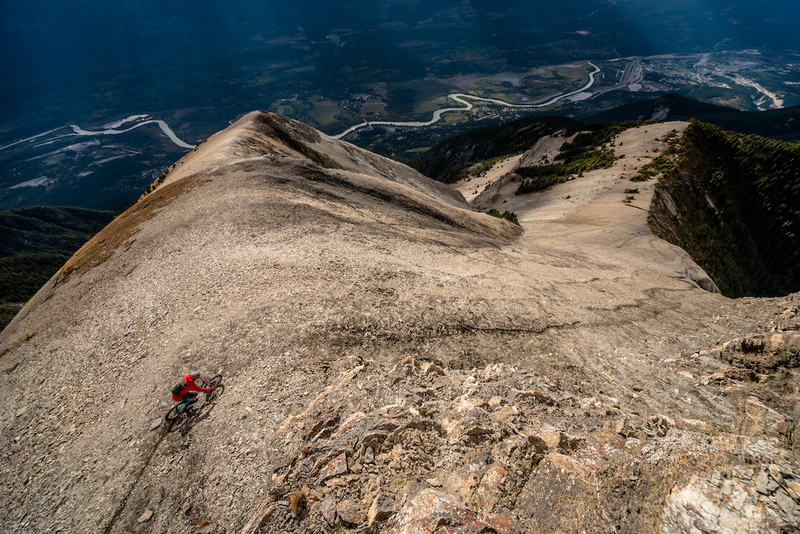 Selected by Scott Secco - This shot was a contender for Photo of the Year and it's easy to see why. Outstanding composition in a riding paradise. Who wouldn't want to ride all the way back to town from there? Weew! Shred Shreddy Moolay! That's m' boy. Nice snap, Ruben. How long riding from top to bottom? depends on who is riding it... Reg would be faster than most! but it is just under 2000m from top to bottom, for sure a big decent.